Ever had an interest in restoring your old Lakewood home’s woodwork to its original beauty? You’re hardly alone. A capacity crowd of nearly 50 area homeowners attended our “Stripping & Refinishing Woodwork Safely” workshop. 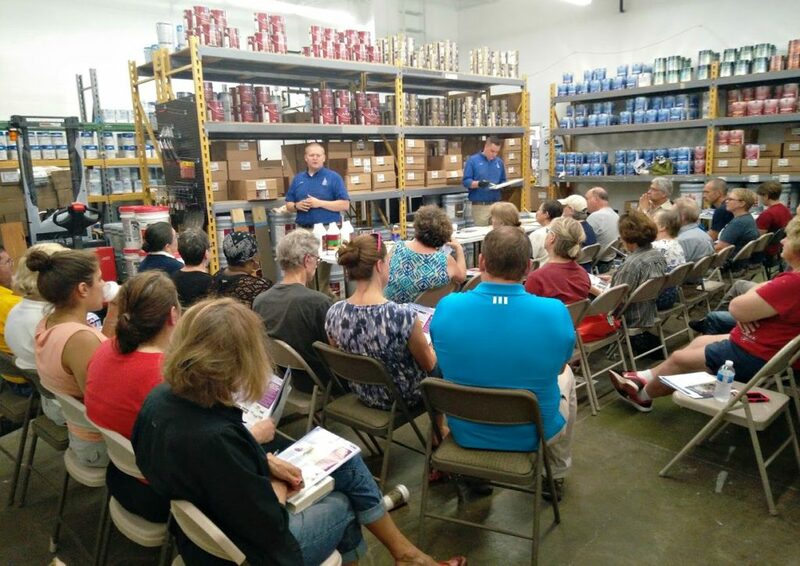 A capacity crowd of nearly 50 area homeowners ventured to Sherwin-Williams’ Lakewood location on July 13 for LakewoodAlive’s “Knowing Your Home: Stripping & Refinishing Woodwork Safely” free workshop. Led by the experts at Sherwin-Williams, this workshop demonstrated the proper steps for stripping woodwork, as well as how to refinish wood to achieve the look you want in your home. The wide variety of advanced paint removers on the market today sport various benefits, ranging from being water-based and environmentally-friendly to being professional strength capable of removing high-performance coatings and lead paint. Do your homework prior to investing in a particular product. Visit multiple retailers to discover the pros and cons of available products, and consider sampling a product with your existing finish before making your purchase if possible. Before diving into refinishing, there are several steps you should take. Start by thoroughly cleaning your woodwork using a sponge and a pre-paint cleaner. Even if this cleaning doesn’t dramatically improve the appearance of your existing finish and convince you to postpone refinishing, it should remove grime to create a contaminant-free surface for the new finish. It’s also worthwhile to scrape and sand areas of your woodwork that have been significantly damaged to ensure a smooth surface. When selecting a finish, consider which option will best accentuate the beauty of your existing woodwork while concealing lesser-quality or poorly-matched woods. Once ready to refinish, apply your product with a staining pad, then remove excess stain with a wiping cloth if necessary. Consider applying a clear coat as a final layer of protection. Make sure to take time to enjoy both the refinishing process and the final product you produce – you are to be commended for undertaking your restoration project!